HR is a vital function in any organisation as its responsible for recruitment, remuneration, staff training and development, employee relations, industrial relations and organisational development to name just a few. Working within the HR department is a fulfilling role and its essential that those working in this area are knowledgeable, skilled and trained correctly. Youll be dealing with delicate and confidential matters daily and everything has to be handled correctly, and lawfully, as there could be costly repercussions if the proper procedures are not in place. This course is an excellent starting point for you to learn the essential knowledge needed in areas such as recruiting new staff, employment contracts, salary processing, maternity rights and staff performance appraisals. Youll work through the course using a fictitious case study company, so you can really understand the ins and outs of HR in a business. 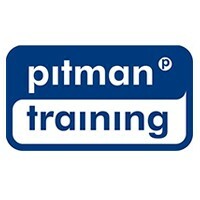 If you are looking to work as an HR Assistant or to add HR as a specialism within your current role, then the Pitman Training HR Essentials course is a great place to start.